The Chinese of Call A Deer A Horse--Zhi Lu Wei Ma is 指鹿为马, Pin Yin zhǐ lù wéi mǎ. Qin Shi Huang, the founder of Qin Dynasty, was a great king and also a tyrant. After unifying China, he became the first emperor in Chinese history. His wife (as distinguished from a concubine under the feudal-patriarchal system) gave birth to sons. 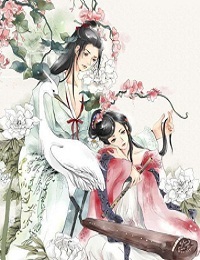 The older one named Fu Su was smart and brave, while the younger one named Hu Hai silly and timid. Qin Shi Huang planed to passed his throne to his older son, but he died suddenly on his way of inspection. The royal tutor of his younger son, Zhao Gao, distorted his will and murdered Hu Hai. After ascending to the throne under the help of his tutor, Hu Hai who took the imperial name of Qin Ershi (the second emperor of Qin) assigned Zhao Gao as prime minister and gave him carte blanche in all national matter, which made him in reality the authority behind the Qin court. “Your Majesty, this is most definitely a horse. If you don’t believe me, let us ask the other ministers for verification.” Zhao Gao replied. Zhao Gao, after this incident, leveled every kind of false accusation against the honest officials, and had them executed one by one. This idiom story is from the Imperial Biography of Qi Shi Huang, a volume of Si Ma Qian's Records of the Grand Historian. The idiom of Call A Deer A Horse--Zhi Lu Wei Ma now is used to describe the case in which someone intentionally to invert black and white and mix up falsehood and truth.